Our Farm is an award winning pumpkin patch and produce farm owned and operated by the Golub family. Located just outside of Syracuse in Manlius, New York. The Golub family welcomes you to our home to share the many experiences of our family farm. Our Farm is an award winning family farm that has been growing and selling farm fresh produce at a roadside stand near Cazenovia, NY since 1985. Boris, our trebuchet, is now 11 years old. He's faithfully launched over 1,000 pumpkins and he continues to astound everyone that witnesses his power. Take a scenic wagon ride through fields until you arrive at the pumpkin field filled with lots of pumpkins. This year's maze is in the shape of a a jet airplane. While navigating through the maze learn about this jets, airplanes and other related facts. 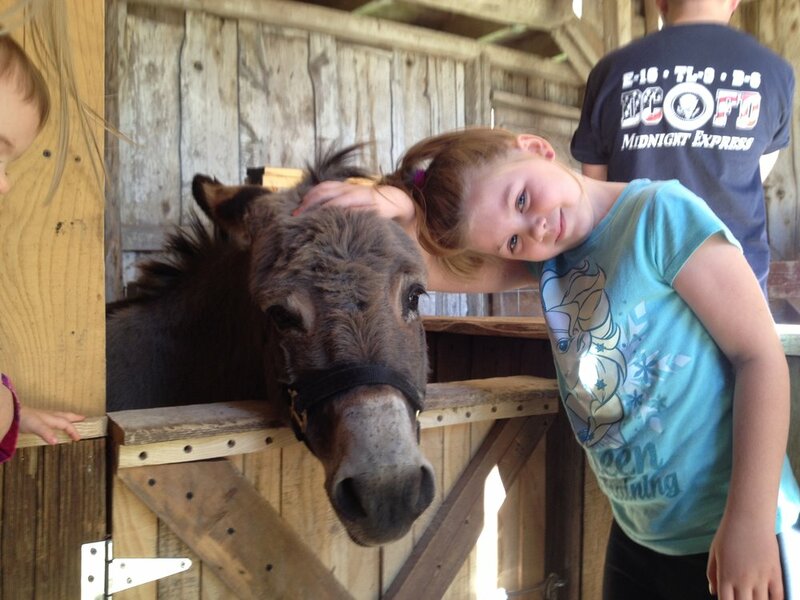 We have goats, sheep, rabbits, piglets, a mini horse (Trixie) and a donkey (Sherman). All of these friendly animals are eager to meet you. Feel free to go right inside the petting zoo where you can make friends up close. Cody may be 30 years old, but he's steady and sure. He's given rides to literally tens of thousands of children and he's the perfect horse for a young child to get his or her first experience. Safety is key here and we will make sure that your child will be spotted. We're open to the public every weekend from October 6th to October 28th, from 1:00pm - 5:00pm. we're also open on Columbus Day. We love when schools visit us for field trips! We are located at 1590 Peth Road, Manlius, NY.